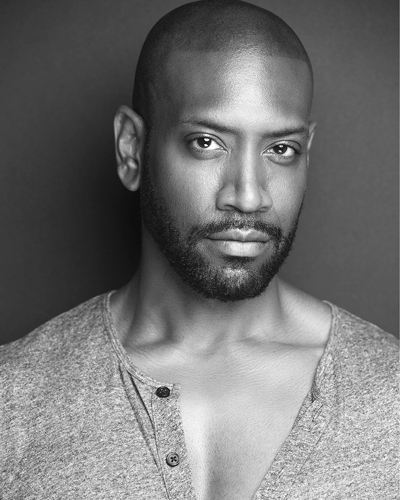 Bryan Terrell Clark is an accomplished actor and singer/songwriter who has performed in hugely successful Broadway shows and a wide range of popular television programming for various networks. Bryan recently appeared as George Washington in the record-breaking Broadway box-office smash hit Hamilton. He made his Broadway debut playing the iconic role of Marvin Gaye in Motown: The Musical, which received a 2014 Grammy Award nomination for Best Musical Theater Album. Bryan also starred opposite Laurence Fishburne and Angela Bassett in the acclaimed drama Fences at the Pasadena Playhouse. Additional theater credits include the Mark Taper Forum’s production of Immediate Family directed by Phylicia Rashad, the Alliance Theatre’s Sophisticated Ladies and His Girl Friday at the Guthrie Theater. Among Bryan’s numerous television appearances include CBS’s NCSI: New Orleans, Blue Bloods, Person of Interest, Unforgettable, CSI: NY and The Unit. He has also had roles on NBC’s The Mysteries of Laura, Fox’s Empire, USA Network’s Royal Pains as well as BET’s The New Edition Story and Tyler Perry’s House of Payne. He recently completed filming Ava DuVernay’s Central Park Five which will debut on Netflix in 2019. In addition, Bryan appeared in the film Collateral Beauty, which was released in 2016 by Warner Bros.
Bryan is the writer and producer of Jussie Smollet’s first single entitled Freedom and he is also a co-writer on Mary J. Blige’s Irreversible on the album My Life II. Bryan has performed with such artists as Brandy, Monica, Ne-Yo, Gladys Knight, Patti LaBelle, Ciara, Yolanda Adams, Maxwell and many others. He is a featured vocalist on Michael Bublé’s Crazy Love and is currently in the studio recording his solo album. Bryan is also the host of Bryan Terrell Clark’s Tribute which has featured appearances with Stevie Wonder, Ledisi, Lalah Hathaway, Rahsaan Patterson and Kenny Lattimore. Bryan is the co-founder of inDEFINED, an initiative launched in 2017 that inspires and teaches young people to use their voices to erase constrictive labels in our society. The online apparel brand raises money for various charities and philanthropic organizations and supports arts education for at-risk youth. Bryan graduated from the Yale School of Drama and Temple University. He is a native of Baltimore, Maryland and currently lives in New York City.